What Do I Do With These Leftover Peaches? Ahhh, peach season. Many of us wait all year long for the highly-anticipated season when peaches are cheap and stomachs are full. 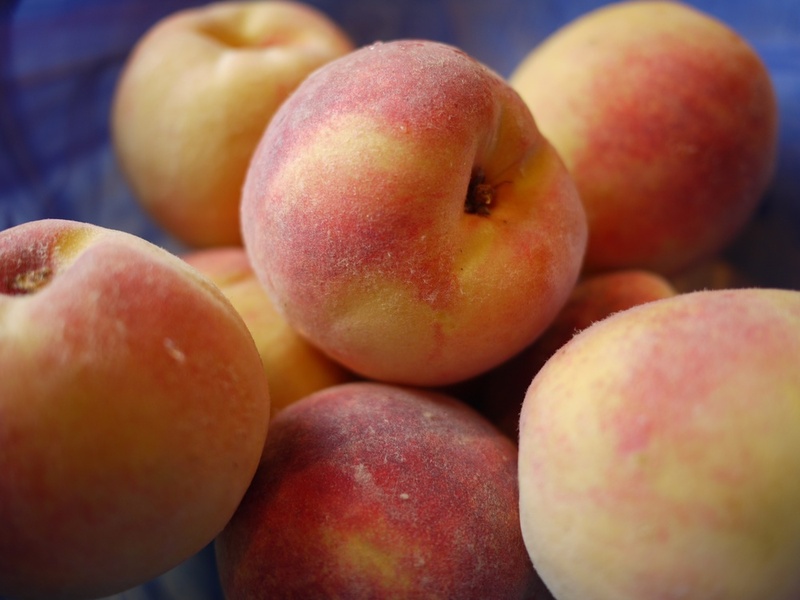 In fact, many people take advantage of the cheap prices by purchasing peaches by the crate at local farmer's markets. They satisfy their craving by baking those fresh peaches into pies, crisps and cookies! And, as with most things, the first couple weeks of peach season are pure bliss. You feel as if you'll never tire of peaches. But, soon you find that your craving has been satisfied and you're simply "peached-out." The problem? You still have peaches leftover. As we near the end of peach season and anxiously await the arrival of fall, we know what you're thinking: what in the world do I do with all of these leftover peaches? We feel your pain. We spent the whole summer making peach pies, peach bread and peach cupcakes. Needless to say, we're ready for the apples and pumpkins. Don't get us wrong, we love our peaches, but as the saying goes: change is good. But before we jump into the apple dumplings and pumpkin pies, we find ourselves staring at a crate of peaches, leftover from the end of the season. Maybe you find yourself in a similar situation. Rather than bake those peaches into yet another pie, let us suggest a few alternatives to use up those leftovers! 1. Peach Salsa - featured recipe below! This recipe is a great way to close out the summer. Enjoy with tortilla chips and a tall glass of lemonade! 2. Peach Freezer Jam - For those of you who are interested in jamming and canning, consider using those leftover peaches to create a delicious spread! The great thing about this idea - jams can last in the freezer for up to a year. 3. Peach Sangria - For those 21 and older, consider mixing those peaches into a yummy sangria. Combine your favorite dessert wine, club soda, and the peaches for a refreshing summertime drink. Combine all ingredients in large bowl. Serve with tortilla chips.